Thompsons Solicitors is one of the largest personal injury firms in Scotland and a major part our success has been in developing a “complete” No Win No Fee package that provides our clients with access to the highest quality legal advice and representation without any form of financial risk. Thompsons is proud to be able to offer its No Win No Fee package to as many deserving claimants as possible. Quite simply, if you have been involved in an accident, or have developed an illness, that is in some way attributable to the actions of another party, you can take advantage of the terms of our No Win No Fee agreement to ensure that you have the best possible chance of securing the compensation you deserve for your pain, suffering, losses and expenses. We represent clients from all over the country, from those living in the Scottish Borders to those living north of Inverness, and have helped them secure compensation for workplace accidents, medical accidents, road traffic accidents, industrial disease and more. 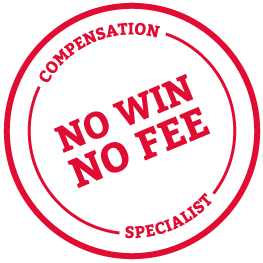 Before we can extend to you the considerable benefits of our No Win No Fee package we must first assess your case to satisfy ourselves that your chances of success are worth the potential cost to us. This means that when we offer you our No Win No Fee package you can be assured that we think you’ve got a good case that you’re likely to win. Talk to our No Win No fee advisers for more information. In the following video Patrick Maguire talks about the benefits of making a No Win No Fee claim with Thompsons so that you can remain protected from costs if you lose your claim. Wherever you are in Scotland, our personal injury solicitors can help you achieve the justice and the settlement you deserve for your pain, losses and injury. We are one of the largest firms in the country, have received multiple awards and accolades for the quality of our service and remain committed to helping the victims of third party negligence secure the full legal rights and recognitions to which they are entitled. Additionally, we are a powerful lobbying voice for the underdog and pride ourselves on the pressure we put on Westminster and Holyrood to enable fairness for all in the field of civil law. Are you thinking about a No Win No Fee compensation claim? Talk to one of our experts today on 0800 0891331.